Home / News / Newsletter / This is Wren’s Foot and Toenails/$1000.00 and Other New Matching Challenges!/ MY GOD ANOTHER HIT BY CAR JUST CAME IN. My Lord God Have Mercy. 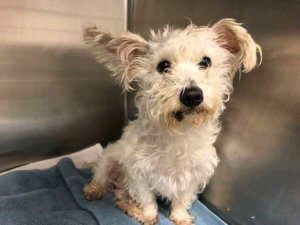 There is ANOTHER hit by car with a broken pelvis dog at the CACC in Chicago that looks like a Bichon-Westie Mix. Well, what’s going to happen to her if we don’t take her? DON’T ANSWER THAT WE ARE TAKING HER. 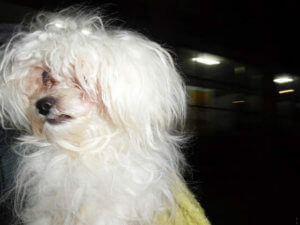 The good news is that Lola she was a show girl Havenese, does NOT need surgery from her broken pelvis. It is an old injury and she is fine, thank God. We have the following matching challenge donations for the five dogs listed below, and now for “Sally” the Flying Nun dog pictured above. I think I’m losing it here. Help is needed. First, we had a call in matching challenge from Pat and Joan Borders at jpborders@thinklinc.com for an unbelievable $1000.00. Is there anyone out there who has been blessed enough to match Joan and Pat? Thank you Joan and Pat, so very much for your call and for your concern for these little ones and for me. Next, we have this matching challenge donation for $500.00 from Dawn Bove at d.bove@fcpmllc.com for $500.00. I’m praying someone can match it. Thank you Dawn and we are praying for your boy! “Good Morning Robin: My heart is breaking as well. Good people will over power evil. These people will have to answer to a higher power one day. I will make a challenge in the amount of $500.00. 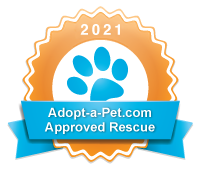 We have already spent $6,000.00 just in the first three months of 2019 on our Bichon Havanese mix Wesley. He has been very sick, but getting better. So this challenge is in his name. Next, we have this matching donation challenge from Caroline Whitver at cwhitver@earthlink.net for $500.00. Thank you so very much Carolyn. I hope someone can match you as well. $500.00 matching challenge from us (Caroline, Ben and Jerry).. two bonded brothers I adopted from Small Paws 18 months ago (aka Primo and Secondo) Jerry’s the smaller of the two but makes up for it by getting into all sorts of mischief. Ben’s not far behind, however. Next, from Judy De Angelis, at jadeangelis@cox.net, we have this generous challenge for $200.00. Is there anyone who can match Judy? Thank you Judy, so much. My heart aches for these babies. Please issue a matching challenge of $200.00. 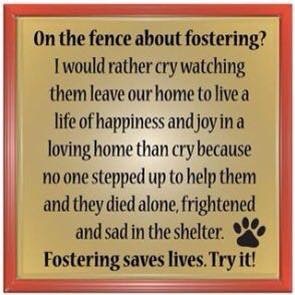 Please pray we can help all of them enjoy a healthy and happy life they all deserve. Next, from Deborah Berger, at normetski@aol.com, we have this matching challenge for $200.00. I think we can all relate to how she is feeling. Is there anyone who can match Deborah? Thank you Deborah. So very much. emotionally ill. Please issue a $200 challenge. Next, from Gisela Towner at artgoose@yahoo.com, we have this matching challenge for $100.00. Thank you Gisela. Is there anyone who can match Gisela? Please issue a $100.00 challenge from me, Bugsy and Meryl. Let’s get these sad babies healthy and get them ready for their new lives. So that’s where we are. 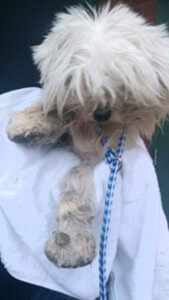 Still in need and now we have another hit by car broken pelvis dog needing us. With wings. My heart was broken this morning. To see what human beings can do to these precious creatures. The pain inflicted. The sorrow they feel. You see, it occurred to me that while yesterday, Sara and her Team in the Chicago IL. 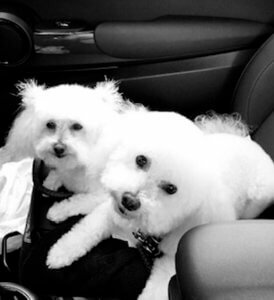 area, took in some Bichons, a Bichon-Maltese and one Bichon Havanese, in the most horid of horid conditions, then came you. They all came in separately. As strays. Lord God have mercy. So we got three fluffs from CACC that we’re released early on medical because they are in such horrible shape ( I mean really bad!) Some days I just can’t grasp why people are so cruel. And two more are coming in for a total of five at once. This male left the shelter early yesterday in medical. He is in horrific shape , as you can tell in this pics. His name is “Beamer” ❤️ because he will beam with all the love and care that Small Paws will give him! ( Thanks to Kathy and Tom Macpherson as they drove to Chicago on a last minutes notice!) Notice the dreadlocks on his poor little feet. 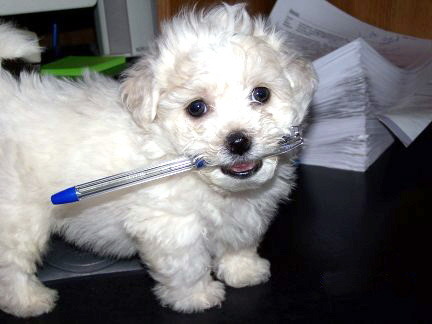 Robin says this is a Bichon! Now this poor baby girl, is only 4 lbs and 10 ounces. She is estimated to be four years old. These pics of her legs and nails are the worst I have ever seen. 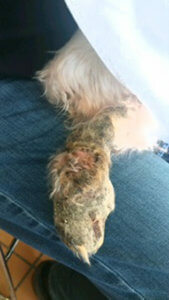 She has a wound in her leg, but can’t walk because of the condition she is in ! Her name is “Wren” ( because she is like a tiny little bird) Dr. Blasso estimates her around 4 years, very underweight ! “Wren” at CACC when we picked her up. Look at her front leg. This is Wrens leg from the back. 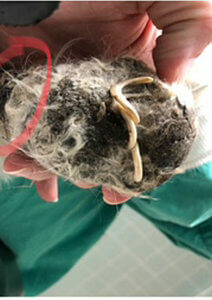 It’s matted and infected and she can’t walk on it. This little girl was hit by a car. 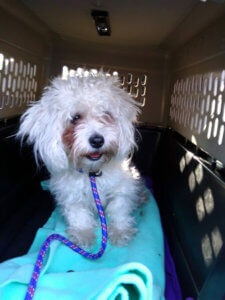 She is a stray and has been identified by a Southern Havanese Rescue as being a Bichon Havanese.樂 She is estimated to be only one year old. She was released yesterday on medical as she has a broken pelvis ( The ischial tuberosity ) She is at our vet. Julie Lyne is taking her to see Dr Hayes, our orthopedic surgeon TODAY at 11:30 am. This little nugget was a stray that went unclaimed. She looks young and happy. We named her  “Rosie”. Here is a happy Rosie leaving CACC. She will need all vetting. She is estimated to be 1-2 years old. Ok , another hot mess ! 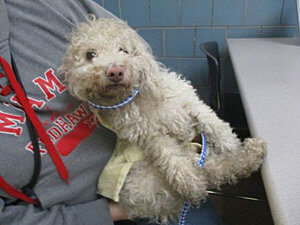 She is still at CACC and needs to come into rescue!! She is estimated to be 3-4 years old. 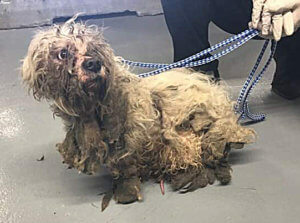 Very matted and neglected. Love that her new name will be “Bluebell”. We believe she is a Bichon Maltese Mix. This handsome boy is on stray hold and Small Paws has the hold. 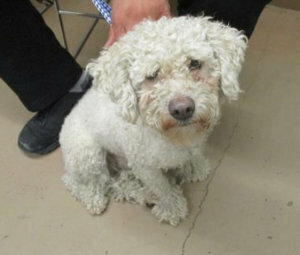 If he is not reclaimed, he will come into rescue Sunday with “Bluebell”. His name will be “Indigo Small Paws”! So you can see why my heart was broken, but then came you. We need massive help. You know we don’t ask for help when we have funds to pay our bills. 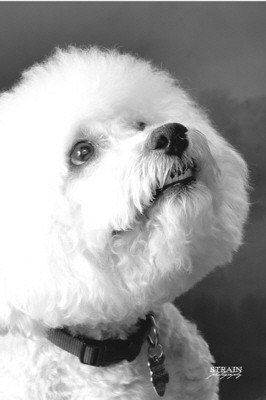 The Florida Suncoast Bichon Bash brought in about $5000.00. It’s been spent already, but thank God it was there to spend. coming to $12,269.38 which is an average of $471.89 per day. Many thanks to the recent Florida Bash Organizers, Calvin O’Bara, Vickie Inglee, (our Florida Team Leader,) Jackie and Rob Loftus, Jon Ochampaugh, our phenomenal Chef, Sean Gwynne, and the donors who all came out to help. Thank you all so much! Ok, as thunder shakes our windows here in Tulsa, Oklahoma, I am here, staring at the computer screen and praying that funds come in. 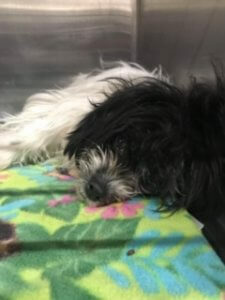 Even if we don’t need surgery for Lola’s broken pelvis (We won’t know until later this afternoon) due to the severity of this neglect and the injuries that followed this latest group, this is going to be expensive. We will need around $9,000.00 for these latest 5. If Lola needs surgery for her broken pelvis, it will be more. That’s not even including the dental specialist. Nor is it including the group in South Texas, under the direction of Team Leader, Karla Carter. I think almost every kiddo down there is Heartworm Positive. It’s to overwhelming to tell you about any more. Both for you and for me. Trust me. It’s overwhelming. I will issue all matching donation challenges.